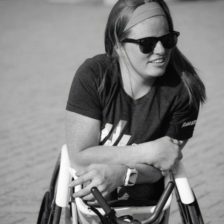 Mary Kate Callahan, 19, has her athletic focus targeted on IRONMAN Louisville in October. As an infant a virus that settled in her spinal cord left Callahan a T8-T10 paraplegic. Her disability hasn’t deterred the University of Arizona psychology student from anything she has put her mind to. She has participated in just about every sport imaginable. 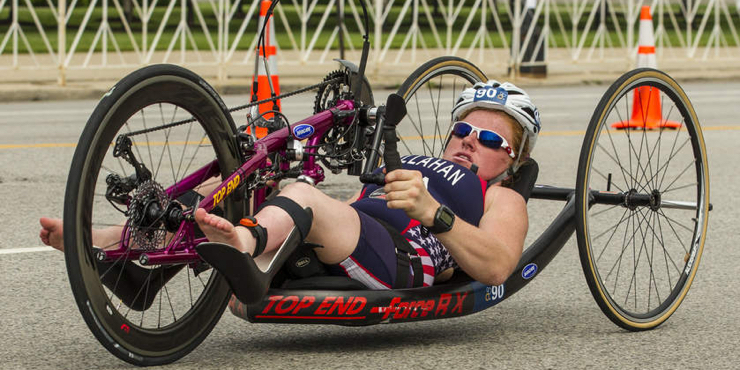 In 2014 Callahan notched two wins, in addition to five podium finishes, in para-triathlons. In high school, Callahan took on an advocacy role and was instrumental in forcing the Illinois High School Association to create opportunities for disabled swimmers to compete at the state championship level. As a result of her efforts, Callahan and six other girls were the first athletes with a disabilities to compete at an Illinois state championship swim meet.